Data Warehousing in the Age of the Big Data will help you and your organization make the most of unstructured data with your existing data warehouse. As Big Data continues to revolutionize how we use data, it doesn't have to create more confusion. 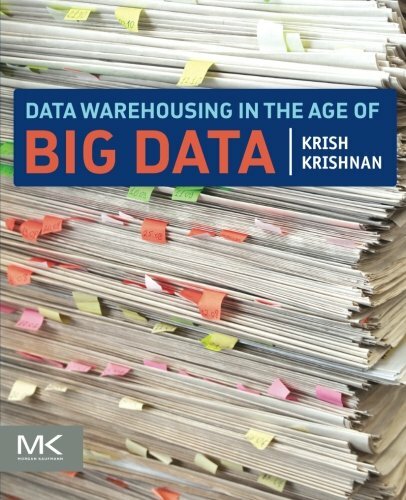 Expert author Krish Krishnan helps you make sense of how Big Data fits into the world of data warehousing in clear and concise detail. The book is presented in three distinct parts. Part 1 discusses Big Data, its technologies and use cases from early adopters. Part 2 addresses data warehousing, its shortcomings, and new architecture options, workloads, and integration techniques for Big Data and the data warehouse. Part 3 deals with data governance, data visualization, information life-cycle management, data scientists, and implementing a Big Data–ready data warehouse. Extensive appendixes include case studies from vendor implementations and a special segment on how we can build a healthcare information factory. Ultimately, this book will help you navigate through the complex layers of Big Data and data warehousing while providing you information on how to effectively think about using all these technologies and the architectures to design the next-generation data warehouse. Learn how to leverage Big Data by effectively integrating it into your data warehouse.